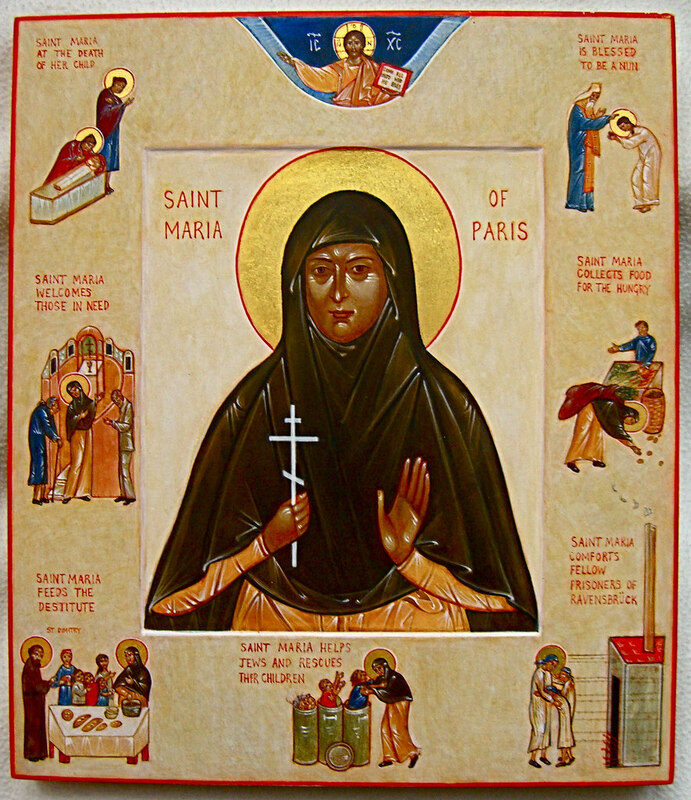 On the 31st of March, we celebrate the dies natalis of Mother Maria (Skobtsova), a beloved martyr and witness to Christ among the Russian émigré population in France. Her “Essential Writings” are particularly recommended during this Lenten season, as her essays, though brief, are spiritually and personally challenging on a number of levels. My apologies in advance to my readers – but if I quote Mother Maria directly once too often herein, please understand that it is not due to a lack of reflection on my part so much as an awe of the depth of her work, that I cannot bring myself to express her ideas better than she expresses them herself. The association Jim Forest of the Orthodox Peace Fellowship (which hosts a considerable collection of resources on her life and works) makes between her and Dorothy Day is not at all coincidental. Her life, like that of Dorothy Day, was decidedly not what one might expect of a saint, though of course no two saints are ever completely alike. Mother Maria Skobtsova, in her youth, had been a member of the left-populist, peasant-driven Socialist-Revolutionary Party which had been outlawed by Trotsky, and lived its fate in an all-too-personal way. She narrowly avoiding execution in late 1917 after her party was disbanded, later became deputy mayor of the small town of Anapa in Krasnodar, was captured by the White Army and put on trial as a Bolshevik, and saved again from the gallows by Daniel Skobtsov, a judge who would become her second husband. Their family fled first to Georgia, then to Yugoslavia, and finally to Paris. Even though she had no taste at all for Marxism after her run-in with Trotsky, and though she abhored the brutalities she witnessed in the Russian Revolution, as Olivier Clément writes, she ‘became a Christian without ever having stopped being the socialist revolutionary, an intellectual of leftist bent’. 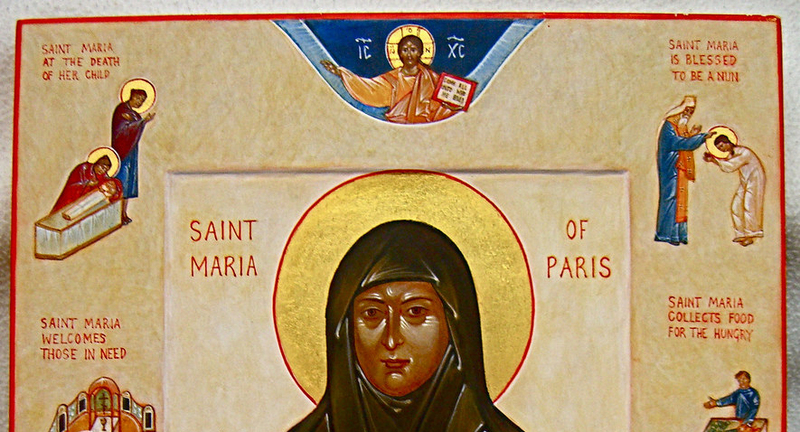 During her life and in her martyrdom, the faith she lived in service to the poor and the faith she discussed in the émigré circles were one. She was devoted to the Mother of God, and even painted a variant of the ikon of the Mother of God Akhtirskaya, portraying the Holy Theotokos embracing the crucified body of Christ her child. Perhaps drawing upon her own experience of losing her daughter, she offered her motherly kindness, as a nun, to a suffering world without reservation or exception. 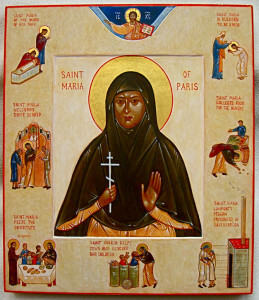 She was insistent that the love of God could be lived only through a radical openness to the sufferings and the struggles of one’s neighbour – that only through keeping the second commandment of Christ in the Gospel could the first even become possible. And throughout her writings, she holds up and defends from a Patristic basis the Russian religious-philosophical idea of sobornost’, of radical dynamic community which is at the same time freeing and completing of the person who participates in it. Matthew Cooper is a parishioner and choir baritone at Saint Sava’s Serbian Orthodox Church in South Saint Paul, Minnesota a father of two, a former English teacher and now a data analyst working in the field of higher education. He has published articles online at Solidarity Hall, Christian Democracy Magazine, Oriental Review and Front Porch Republic, and runs the blog The Heavy Anglo-Orthodox. A slightly different version of this article was first published in The Dorothy Option.